The annual Members Meeting will be one of the Grandest events this weekend. 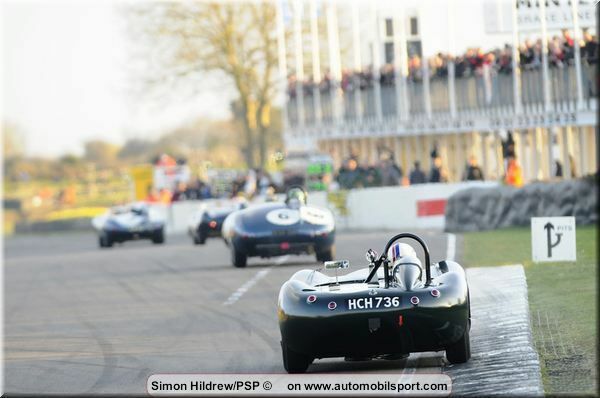 If you are a lover of racing, then you should be making your way to the 77mm. Goodwood is seeking to showcase some of the best racing cars which you will ever come across. If you love to bet on sportscars with NJ sports betting, read on! If you already have your ticket then here are five sportscars which you should see at the event. The Panoz LMP-1 Roadster-S is also commonly referred to as Panoz LMP-1 was built way back in 1999. You might be aware of it because it was the successor car to the Esperanto GT1. The later raced in Grand Tourer international races. However, in 2001, the car was abandoned after racing in American Le mans Series. The Panoz LMP-7 replaced it. But it is without a doubt that Panoz LMP-1 Roadster-S is one of the best American manufacturer Panoz prototypes that have ever been built. For an untrained eye, the car might not seem different from the Esperanto. However, when you take a close look at the car, you will notice that it is an entirely new car. It has a unique look which beat the Audi-8 four times in a season. It was the Penske Zerex Special that gave Rodger Penske the phrase "The Unfair Advantage". The car was raced by its founder which is not common in the racing world. However Penske "The Captain" built the Zerex Special based on the original design of the Cooper T53. Although the car crashed a couple of times during the Grand Prix, he later rebuilt it into one-of-a-kind car. The new model of the vehicle had a Coventry Climax four engine. He raced in the car until 1964 when then McLaren bought the car. Although he later changed the engine, it would be the basis of the first McLaren sports cars. Peugeot 908x was built in 2011 for Le Mans prototype. It is the successor of Peugeot 908 HDi FAP which raced in 2007. During the official qualifying sessions, the Peugeot was lined up across three Audis. It was clear that the Audis had a better speed advantage, but the Peugeot was efficient which gives a car durability advantage. By the end of their racing session, there was only one Audi. However, the Peugeot hasn't been in the racing scene for a while now. Maurice Gomm was handed a single seater racing car in the 1950s for him to revamp it. Gomm together with his partner Paul Emery took the engine from the Grand Prix Alta Monoplace and replaced it with an Aston Martin prototype. The car was rebuilt with other elements from other vehicles such as the Keift. It was later in the 1980s that the Gomm sports car was attached to the Jaguar XK140. Currently, it a 3.4-litre engine. Some people refer to it as one of the finest cars in the world, and it should not be in the racing scene. But it is only at 77mm that you will see this piece of fine art drove by Vincent Gaye at its best.